Chasing a mammoth target of 213 runs in the final T20I against New Zealand, India found themselves on the backfoot when they were reduced to 145/6 in 15.2 overs. 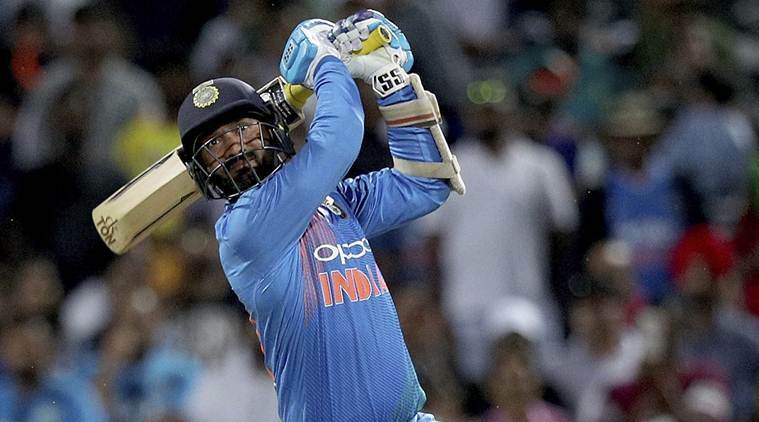 However, Dinesh Karthik and Krunal Pandya stitched a 63-run partnership off 28 balls to bring India back into the contest. However, the quickfire knocks by both the T20 specialists were not enough as India suffered a narrow defeat by four runs. With 16 runs required in the final over, Karthik shocked everyone when he declined Krunal for a single in the third ball. After smashing the ball towards long-on Karthik denied from taking a single, while his partner had already reached the striker’s end and was forced to return to his end. The right-handed batsman failed to hit a boundary in the next delivery and could only manage a single and the match slipped out of India’s hands. The 33-year-old batsman was confident that he could repeat his Nidahas Trophy heroics and guide India to victory but unfortunately, that did not happen. A first-ever T20 series win would have been icing on the cake but the hosts held their nerves to pull off a thrilling victory. With Sunday’s result, India has lost their first T20 series after winning nine and drawing one.